Following the suggestion of a local crafter who’d just returned from the Antipodes we just had to introduce these to our ‘hive products’ range. Using the beeswax from Keith’s bees in the Surbiton area, his sister Alison is making them for us. 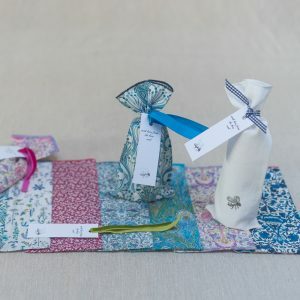 Whilst we were planning the making of these Alison and her family had come to the conclusion, as so many of us have, that we must reduce our consumption and thoughtless use of plastic. Robin’s mother used wax cloth in the kitchen, but I didn’t find it until clearing her kitchen after she passed away and couldn’t work out what it was, that was over 35 years ago and now we know! Designed to wrap sandwiches, cover any food or leftovers, with the exception of raw meat or fish. 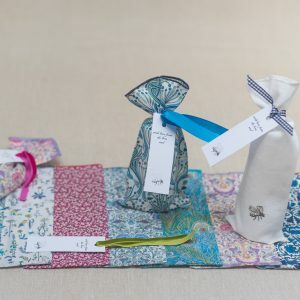 Either wrap the food or cover containers with these flexible cloths. Use the warmth of your hands to seal the wrap. 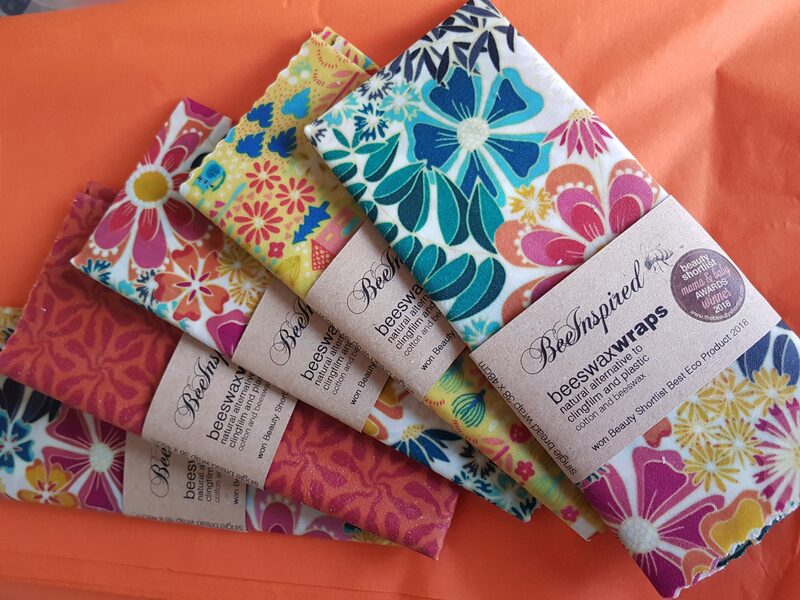 Beeswax does not absorb smells nor bacteria which is why these are so perfect! When your wrap looks worn out simply place on a piece of baking parchment in a cool oven (110 0c) for a few minutes to refresh. 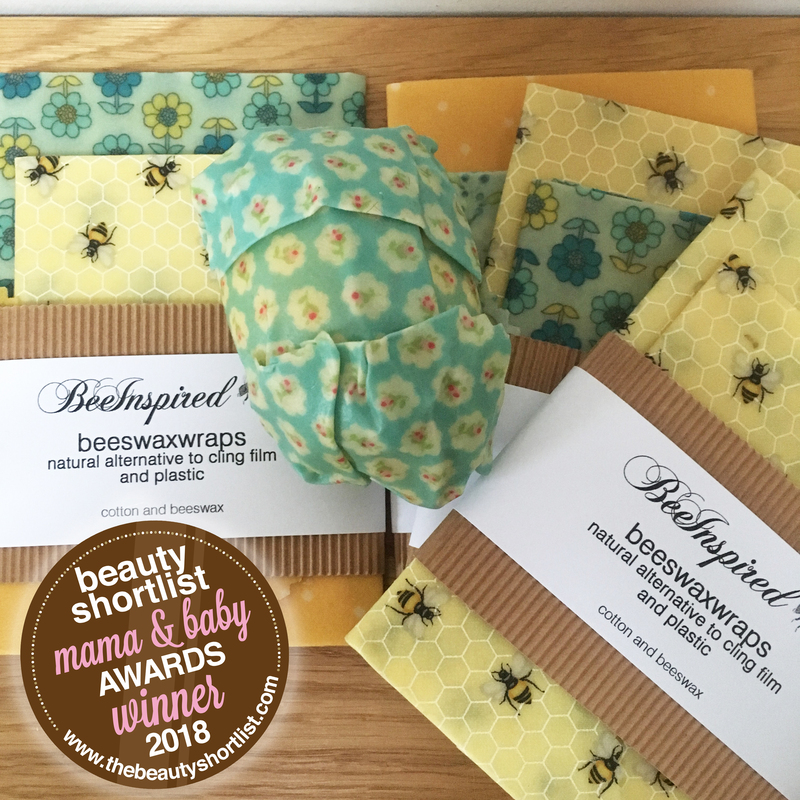 Use and re-use – save the planet 1 wrap at a time! 20 x 20cm – wrapping individual fruit, onions, vegetables and small bowls! These are really pretty and work surprisingly well. I’ve used and washed them many times but they aren’t showing any sign of wear and still smell beautifully of honey. And I’ve saved yards of cling film! That is great to hear Ann, we’ve been using our prototypes for over 2 years now, and have only needed to ‘refresh’ them in the oven a couple of times. I wrapped a cut up apple on Sunday then unwrapped it 24 hours later and it was still fresh to eat, with only the slightest discolouration, I was travelling and the wrap folded into smallest space unlike an empty re-usable plastic box. Love them and the lack of plastic wasted! These wraps are so great I’m back to buy my 2nd lot! that’s good to hear Kerena, thanks for letting us know. 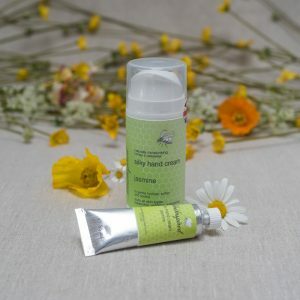 We’re still using our prototypes after 2 years regular use ………..
Our combination of natural seed oils, specifically chosen for their moisturising properties, fused with our honey and beeswax, plus jasmine and rose, create this effective face cream. 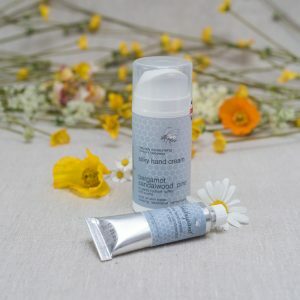 All our creams last well throughout the day, suiting all skin types, and this one is particularly beneficial for those of us with more mature skin. Jasmine is a great skin tonic, increases elasticity and can help with scarring. 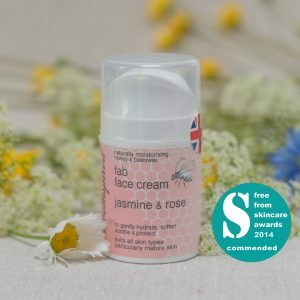 Rose stimulates, moisturises and hydrates – particularly beneficial to dry or mature skin. Helps reduce redness, fixes broken capillaries on the skin and all in all a fabulous general skin tonic. Who doesn’t love a little extra help, especially when it smells this good? 30ml airless pump £ 12.00 – great for short trips away; weekends, work, holidays…. 35ml paint tube £ 8.00 – great for on the move; handbags, travelling, pockets and the perfect gift. 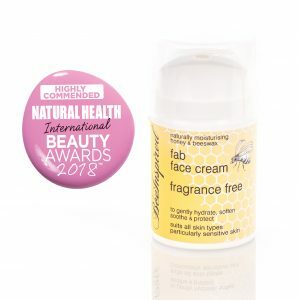 Highly Commended by Natural Health Magazine International Beauty Awards 2018 in the sensitive skincare range, this face cream is as simple and gentle as it comes! 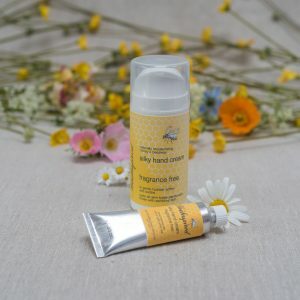 Our combination of natural seed oils, specifically chosen for their moisturising properties, fused with our honey and beeswax, create this effective face cream. All our creams last well throughout the day, and this one is particularly great for those of us with sensitive skin. Apply morning and night, and whenever else you want to. Fragrance Free – no essential oils added, perfect for sensitive skin! “It’s like wearing silk on my face,” says Fiona from Wimbledon who has eczema and finds our cream suits her particularly well. A traditional recipe, similar to our furniture cream, embracing the protecting qualities of beeswax and natural turpentine. Perfect for all those handbags, shoes and the sofa. The effect of this cream is long lasting and helps retain that ‘just bought look’, healing those scuffs too. 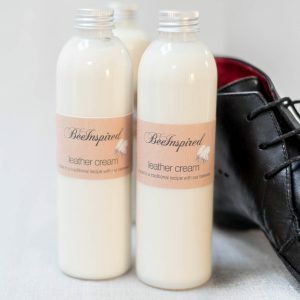 This cream feeds as well as allowing the leather to breathe producing a fabulous sheen. As this is a traditional combination the ingredients may separate slightly so; a good shake before use and then dab the liquid onto a soft cloth, allow the cream to be absorbed and then buff with a fresh soft cloth. This is our original and first cream. We’re not ashamed to say that we love it, especially as our friends with sensitive skin say they can’t get enough of it. It’s a truly effective cream which nourishes, moisturises and protects. 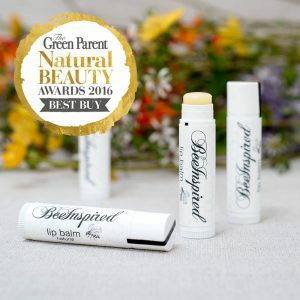 Using only natural and effective ingredients and keeping the formulation simple, we have excellent responses from folk with sensitive skin and eczema as there is little to challenge allergies (but check the list first in case you’re sensitive to any of our ingredients). Make this your hands’ best friend. Keep it in your bag, your car, your office, your garden shed, your cockpit, wherever you like to be keep some of this nearby. Gift wrapping? 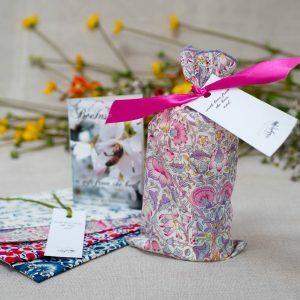 If you would like this gift wrapping in a gorgeous Liberty bag, ribbon and gift tag then choose the ‘gift wrapping’ option for a nominal £ 1:00 charge. 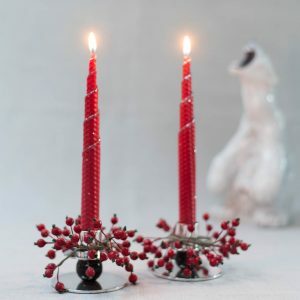 These we love to make by decorating a sheet of ‘foundation’ wax with the finest dusting of glitter which highlights the spiral top to the wax and then hand rolling each candle. It’s a traditional activity, cathartic and lovely for the hands. Foundation is the sheet of wax, imprinted with the honeycomb and given to the bees as a base for them to draw their honeycomb. For bees to make wax they have to consume vast amounts of honey; for 1lb weight of wax bees need to eat 5lb weight of honey (having collected and created it first of course). So we help them along by providing the sheet wax in a frame. On opening the natural beeswax candles they smell beautifully of honey. 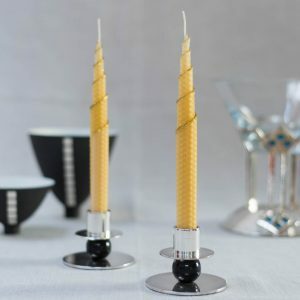 The coloured options lose this sweetness during the processing and retain all the natural goodness of beeswax candles. Beeswax is the ‘King’ of all waxes, it burns slowly with a perfect flame and beeswax are the only candles which apparently don’t pollute the atmosphere. In fact, they produce a negative ion when they burn thus making dust and pollen drop form the air. Are these the perfect candles to burn for hay fever sufferers? We think so!